"The Speakeasy deserves to be a fixture in the Bay Area theater scene." "Everything I love about San Francisco!" Step back in time and visit San Francisco’s historic North Beach district during prohibition! Slip into your finest duds, put away your technical doodads, and completely surround yourself in the lives and culture of the roaring 1920s. 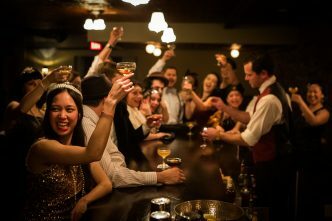 Interact with flappers, floozies, gangsters, and bootleggers during a “choose-your-own-adventure” immersive theatrical experience full of extravagance and spectacle. 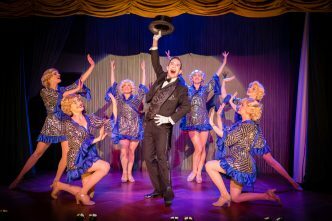 Enjoy handcrafted cocktails, celebrate with your friends, play casino games, or sit back and watch the chorus girls kick to their noses in our Cabaret. 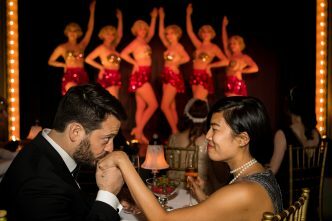 More about The Speakeasy What is immersive theatre?